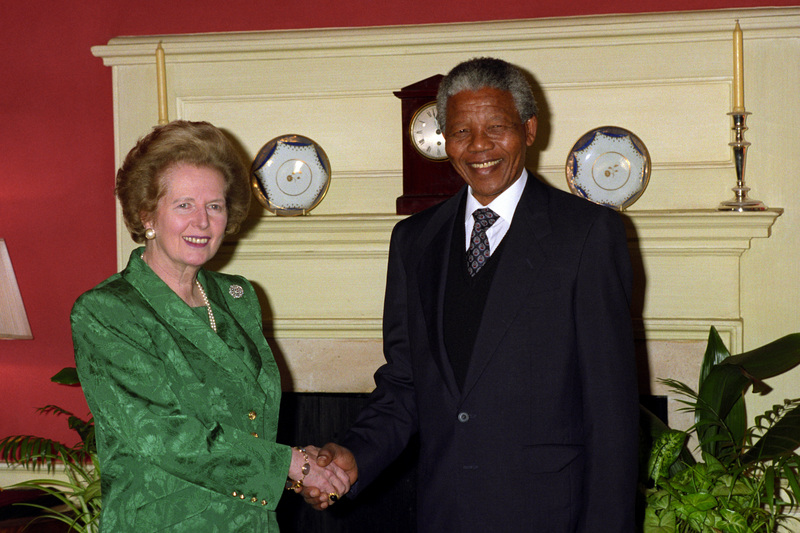 The ring Margaret Thatcher wore the day she became Prime Minister and a bracelet worn while meeting Nelson Mandela are among items going up for auction next month. Auction house Christie’s is holding an online sale of some personal items to mark the 40th anniversary of her election as the UK’s first female Prime Minister. The auction will comprise 170 lots with items from Mrs Thatcher’s time in office, as well as personal possessions, clothes, handbags and her “uniform” jewellery – pieces that appear in many photographs of her at the height of her career. Christie’s has estimated that pieces will sell from between £100 to £15,000. 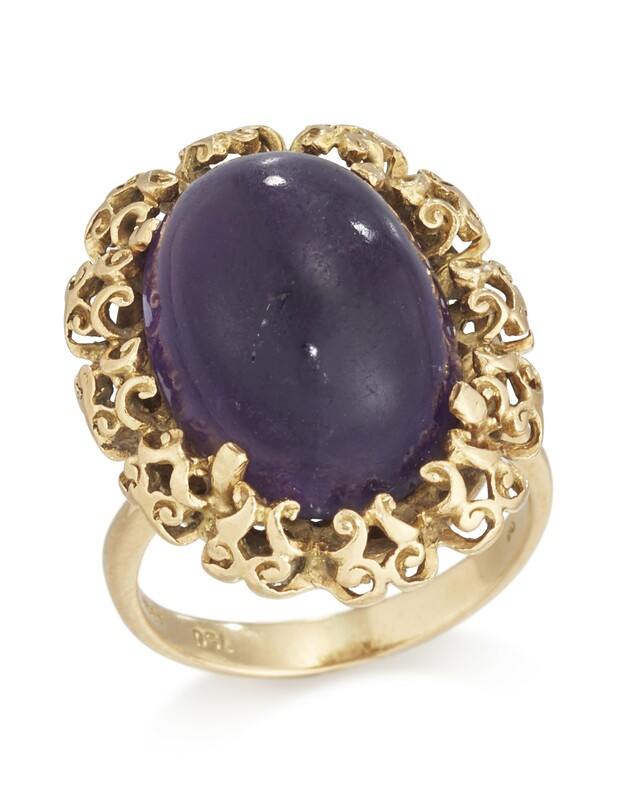 The 18-carat gold and amethyst ring, worn on the day she became Prime Minister, is expected to sell for between £1,200 and £1,800. The ring, which she was photographed wearing arriving at 10 Downing Street on May 4 1979, is understood to have been one of her favourites as it was chosen by her children. 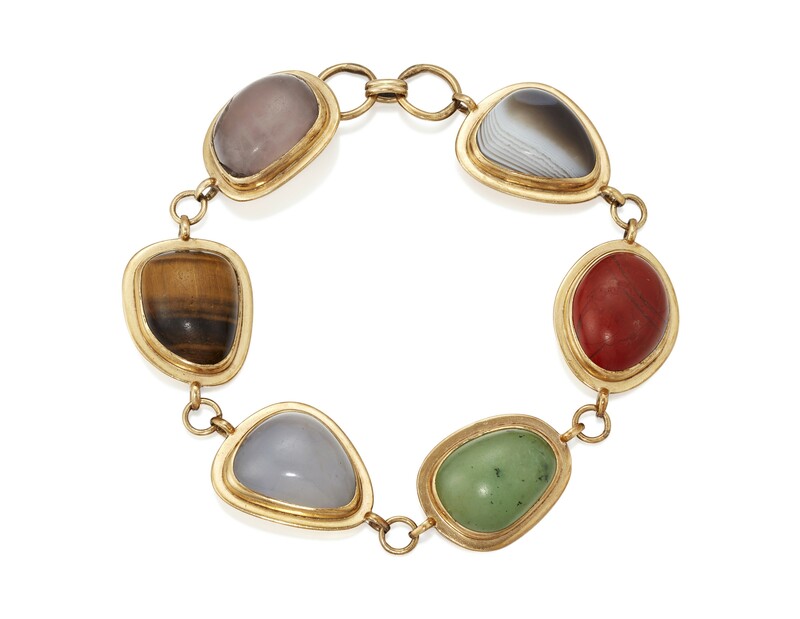 Another piece of her uniform jewellery going under the hammer is a hardstone-mounted gold bracelet with colourful cabochon gemstones, which has an estimated sale price of £2,000 to £3,000. A gift from her husband Denis, it was worn by Mrs Thatcher during her meeting with Mandela at 10 Downing Street in 1990. A sapphire, diamond and cultured pearl necklace is estimated to sell for between £600 and £800, and two evening suits – one of which was the blue outfit worn at a dinner to celebrate the Queen’s Golden Jubilee in 2002 – are expected to go for between £1,000 and £1,500. Other items include a diamond-set gilt Cartier pen in its box, Mrs Thatcher’s House of Commons desk blotter and one of her signature handbags by Asprey with a lizard exterior. The auction will be the third by Christie’s of Mrs Thatcher’s belongings, after previous sales in 2015 saw her items sell for a total of £4.5 million. Adrian Hume-Sayer, director and specialist of private collections, said: “The market’s response to the historic sales in 2015 – both the online sale and the traditional live auction – was remarkable, with the overall result for The Mrs Thatcher Collection Part I and II far exceeding pre-sale expectations. “Clients from all over the world seized the opportunity to acquire items which gave insights into the life of Britain’s first female Prime Minister, who was a political giant on the world stage. Mrs Thatcher, Part III, an online sale, will be open for bidding between May 2 – May 9. The sale is available to view online now.